Properties in James A. Gaston Visitor Center average 4.8 out of 5 stars. LAKE ACCESS & GREAT VIEWS! MINUTES TO THE WHITE RIVER!! 3 BR/2BA, 1500 sq. ft.
Property 3: LAKE ACCESS & GREAT VIEWS! MINUTES TO THE WHITE RIVER!! 3 BR/2BA, 1500 sq. ft.
Riverside Vacation Homes WHITE RIVER! by BULL SHOALS DAM & LAKE! Property 4: Riverside Vacation Homes WHITE RIVER! by BULL SHOALS DAM & LAKE! Riverside Vacation Home WHITE RIVER! by BULL SHOALS DAM & LAKE! Property 6: Riverside Vacation Home WHITE RIVER! by BULL SHOALS DAM & LAKE! Luxury Home with Amazing Views Overlooking White River! Property 7: Luxury Home with Amazing Views Overlooking White River! Riverfront Cotter House w/Spacious Deck & Hot Tub! Property 8: Riverfront Cotter House w/Spacious Deck & Hot Tub! NEW! Cotter Rock Cottage, Historic Cotter AR. Near River "Trout Capital USA"
Property 12: NEW! Cotter Rock Cottage, Historic Cotter AR. Near River "Trout Capital USA"
Flippin House Across the Street from White River! Property 13: Flippin House Across the Street from White River! Beautiful Riverfront Location. Great Fishing. Wonderful Accommodations. Property 14: Beautiful Riverfront Location. Great Fishing. Wonderful Accommodations. Great SPRING AND SUMMER RATES IN OUR 5 STAR COTTER CABIN CHOICE DATES! Property 17: Great SPRING AND SUMMER RATES IN OUR 5 STAR COTTER CABIN CHOICE DATES! A Simply View-Ti-Ful place to vacation! Property 28: A Simply View-Ti-Ful place to vacation! NEW! 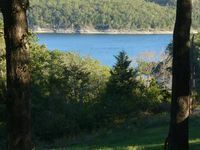 Lakeview Home - 1 Mile from Bull Shoals Lake! Property 31: NEW! 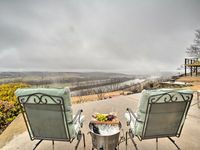 Lakeview Home - 1 Mile from Bull Shoals Lake! NEW! Riverfront Mountain Home w/ Spacious Deck! Property 38: NEW! Riverfront Mountain Home w/ Spacious Deck! Property 43: NEW! Harding House on White River w/Boat Parking! Property 46: Luxury Lake View Lodge Sleeps 30, Set On 11 Acres With Heated Swimming Pool. ON THE WATER! Welcome to Lake Norfork at Henderson Arkansas! Spacious 4 bedroom 2 bath sleeps 12 ! Property 47: ON THE WATER! Welcome to Lake Norfork at Henderson Arkansas! Spacious 4 bedroom 2 bath sleeps 12 ! Property 48: NEW! ON THE BLUFF! AMAZING VIEWS OF HISTORICAL COTTER OVERLOOKING WHITE RIVER! Property 49: 0n the White River near Mountian Home Arkansas, Lodge type home. Nice place but definitely not lakefront.